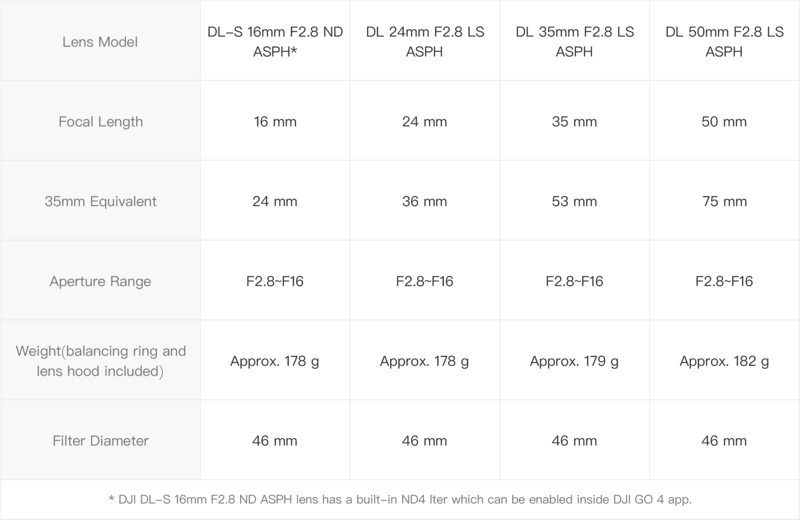 DJI DL/DL-S Lenses are professional prime lenses specially designed for aerial photography. Featured light-weighting carbon fiber casing, those lenses are able to reduce the payload of the gimbal and camera, improving the stability when shooting. With the DJI DL mount (diameter: 58mm), the lenses can be mounted onto Zenmuse X7, providing varying focal lengths. When used with Zenmuse X7, the focal length multiplier is 1.5 when taking stills. © 2019 OmniView Tech. All Rights Reserved. Want free swag, exclusive discount codes, and the latest updates on product releases? Sign up below!